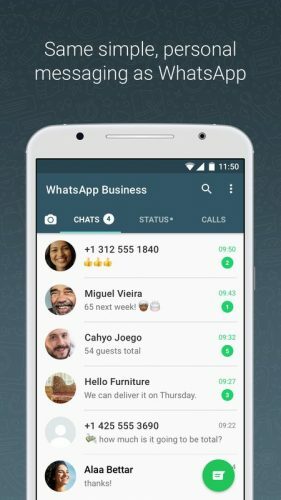 Download WhatsApp Business For Android APK - Put your business on WhatsApp! Hello everyone, how are you all doing today? Any of you heard of WhatsApp Business? It’s a new app by the same owners of the mega popular WhatsApp Messenger, Facebook. Yes, for those of you who don’t know, Facebook owns WhatsApp after they bought from the original authors a couple of years ago. 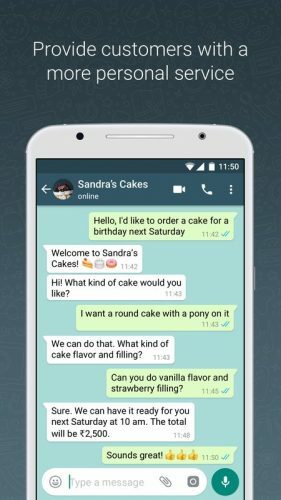 WhatsApp Business basically lets you promote and reply to consumer questions and feedback with plenty of new options that we have listed below. I think this app is worth your time especially if your business requires you to constantly talk and communicate with your consumers/customers. Let’s find out what else makes WhatsApp Business perhaps the future of how we will all run our businesses. 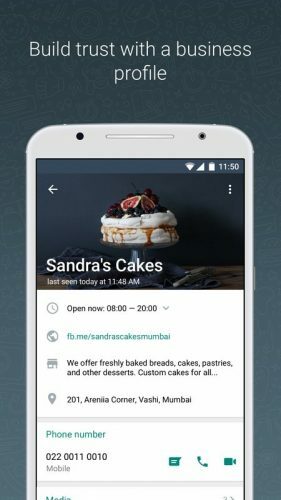 What Is WhatsApp Business About? BUSINESS MESSAGING TOOLS: Be more responsive to your customers by using Away messages to indicate that you’re away. 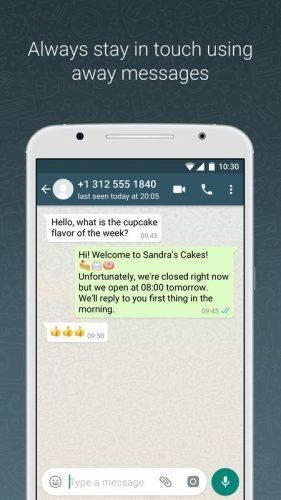 WHATSAPP WEB: You can more efficiently respond to your customers right from your computer’s browser.